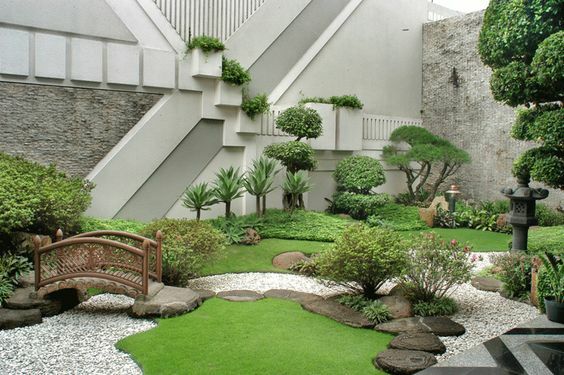 Asian garden is one of most extraordinary landscaping ideas that bring huge charm to many people in the world. 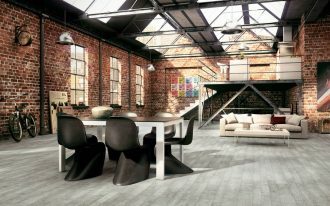 In recent days, it becomes the favorite option for zen-inspired outdoor spaces due to its typical design that effortlessly brings relaxed and calm atmosphere to space around. 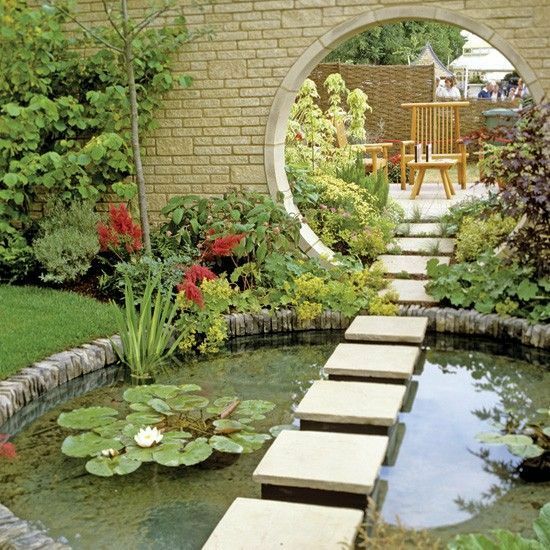 This Asian-inspired garden is also giving you most exact spots to have health meditation, to get new inspiration, and even to reflect your life. Have you been curious what Asian-inspired garden looks like? 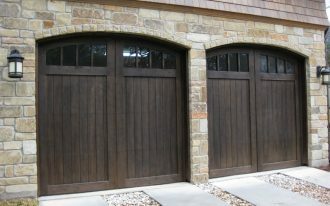 What features commonly used in this type of outdoor space? Let’s get to know more about this through this site. 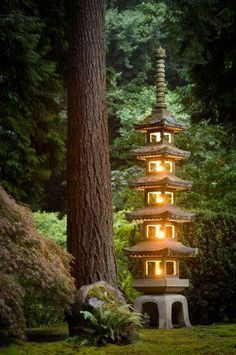 Asian-inspired tower is one of features we commonly find in most Asian gardens, and this tower can be an accent outdoor lighting in your outdoor space. The feature also brings the spring fever to your garden. 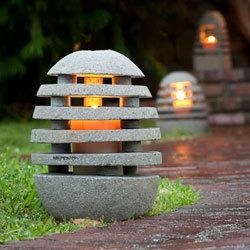 A stone lantern for garden – this is another recommended outdoor lighting for Asian-inspired garden. The lighting is made of handmade-carving of natural stone. 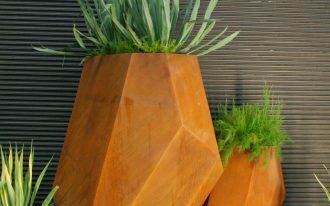 Add this piece to the edge of your walkway or corner of your garden. 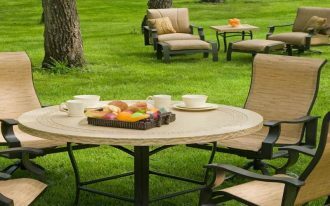 Just in instant, you’ll get Zen-feel outdoor space. 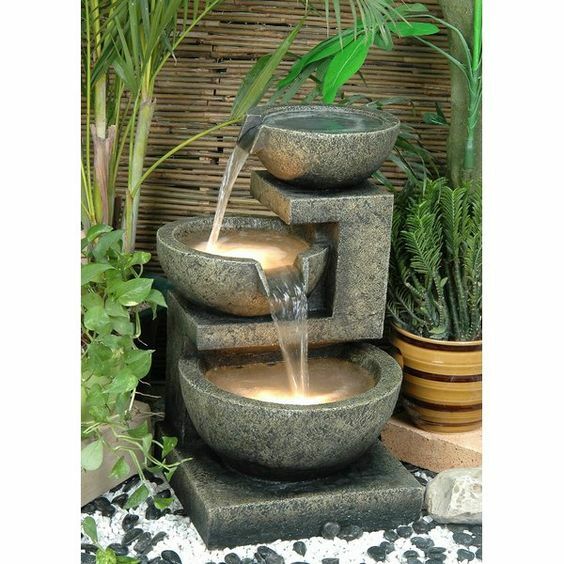 Another easy way to add a bit Asian-inspired feature to your outdoor space is by involving this concrete bowl fountain into your garden. The fountain, of course, will give you an ornate touch to the garden. 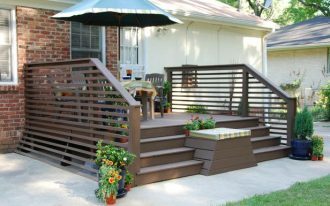 Maybe you wanna make your backyard greener with the dominance of grass bed accented with some pieces of typical Asian features like a mini wooden bridge and Japanese tower-like light fixture. 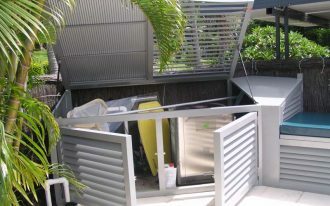 Also, you need to add a walkway to make you easier to access all spots in your lovely backyard. This is so awesome! 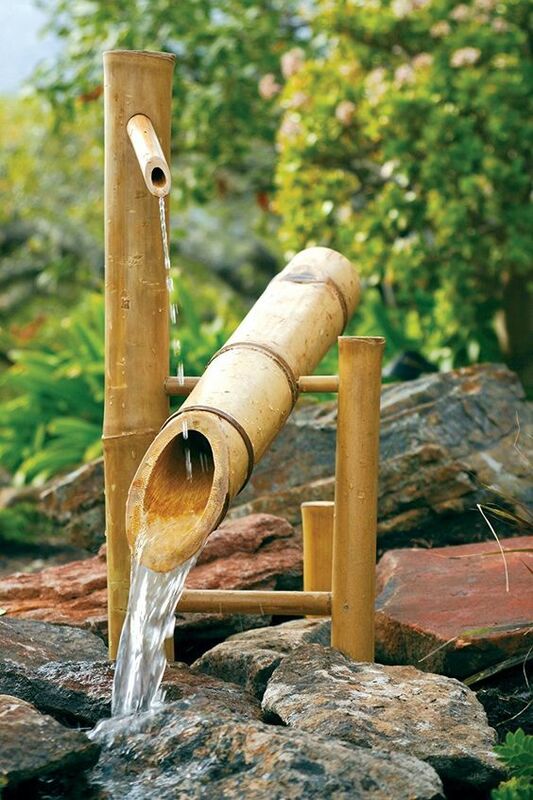 A bamboo fountain as the most recognizable Japanese feature. 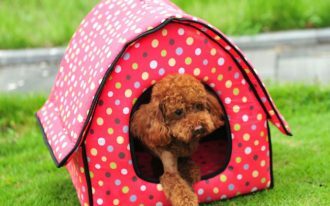 This is available for indoor and outdoor use. Made of original bamboo, the fountain is still exposing the texture and tone of bamboo. Based on its physical design, the fountain fits the traditional Asian gardens, especially the Japanese’s. Japanese botanical tower in vivid red. 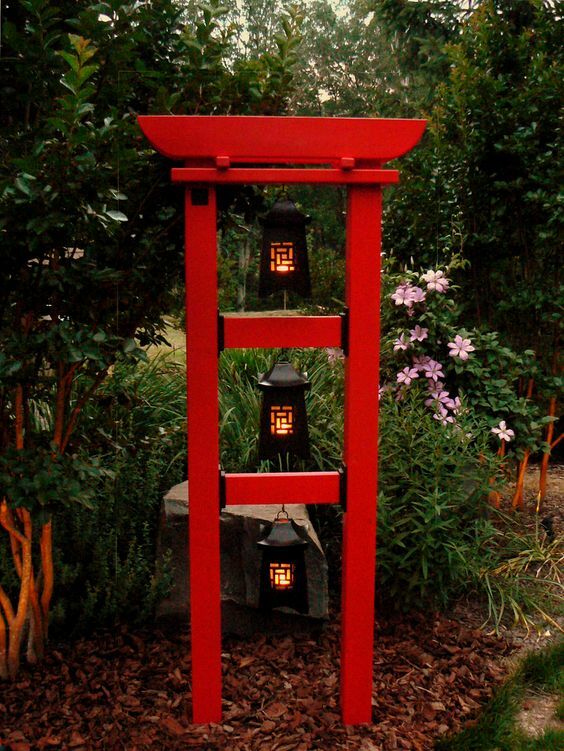 Three pieces of lanterns will welcome everyone visiting this garden, and about the red, it looks so vibrant in the middle of green dominance, offering a warmer look after the each lantern. 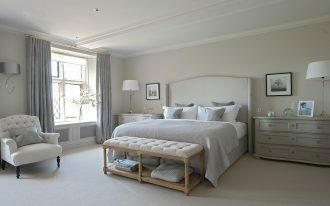 Feel so peaceful and harmonious. 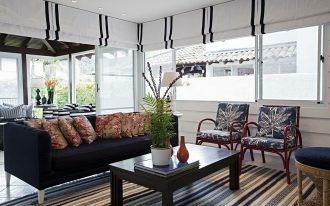 The nuance is indirectly created by such a calm garden setting supported with Koi pool and lots of green plants. Bonsai brings Asian feel to your garden. You can grow it up in your backyard and re-set the backyard into an Asian-inspired one. 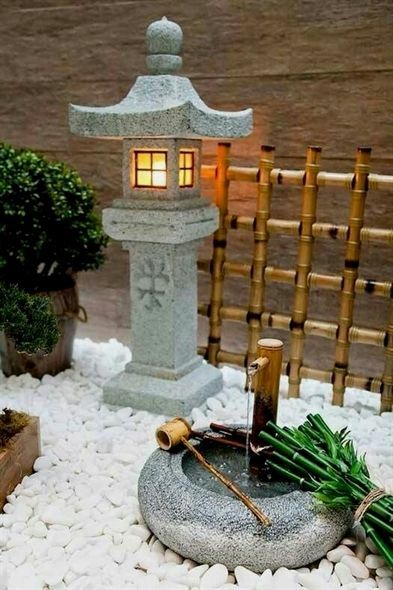 To make it truly Asian, you just need to add some rocks for the ornaments and small-size natural stones for the base of garden as well as for the walkway. 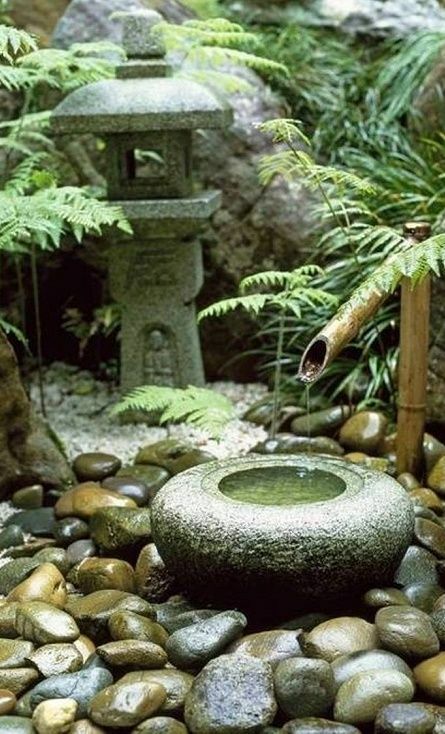 Complete your bamboo fountain with the bowl. The bowl is commonly made of natural stone shaped as same as the real bowl, providing a space in the middle for falling water. One thing that makes this crucial to have is about the sound of falling water. It’s calming. Bamboo also becomes the crucial element for Asian-inspired garden. 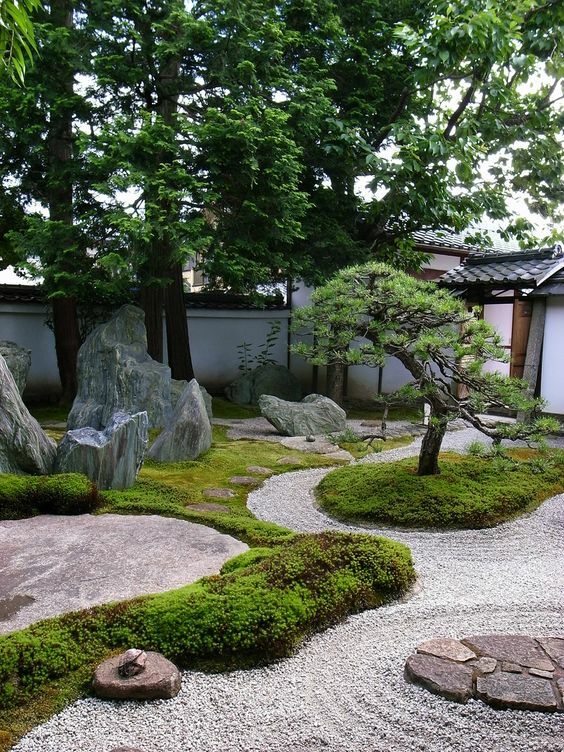 It can be used as the complementary pieces of garden as we’ve found in this Asian garden. Bamboo fountain and railing system look dominant in this outdoor space.